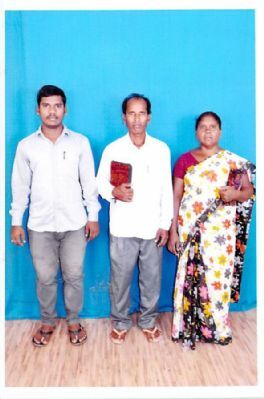 I am an independent pastor in Andhra Pradesh. My father and fore-fathers worshiped idols and used to sell the images of gods that they made themselves by their own hands. I never cared for this. My father also sold the images taking them door to door. After finishing 8th grade, I learned to drive a car, got a license and started my career as a taxi driver. One day a church pastor engaged my taxi on a rental basis. When we were on a journey, a lady came and requested the pastor pray for her son who suffered with fever. He prayed and we continued our journey. In the evening the pastor stopped our taxi at the woman's house and to my surprise, the woman told us that her son was healed by the pastor's prayer. This made me think about the healer. The next day I talked about the boy with the pastor and came to know that Jesus Christ was the Son of God who came to this world to remove all the sins of the world. He told me it was Jesus who healed the boy. From that day I made friends with the pastor even though my family members and my wife objected. I came to know more about Jesus, realized my sinful state, and accepted Jesus as my Savior. I began to pray for Jesus to open doors to preach the gospel of salvation to others. At last my prayers were answered. God directed me to a remote village and I was the first man to preach to them about Jesus. After much prayer, people began to believe in Jesus. Prayer is the cause of the increase in our church membership. I have led 163 souls to the Lord Jesus. Now everybody honors my words and Jesus is praised in all respects. All our church members are poor laborers. Please pray for them. ���I was born into a Roman Catholic home. At the age of 20 I heard a message on Revelation 20:11-20 and realized my need of Salvation. Soon I was involved in teaching Sunday School and occasionally preaching. Then the Lord convicted me to attend Bible College. I graduated in 1991, with a 4 year degree. 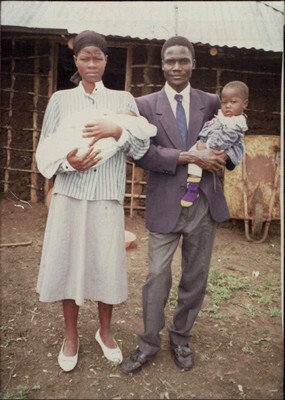 I have been serving as a pastor in the Migori District ever since.